Our ewes are housed in our barn ready for lambing. They were scanned back in December, so we know which are expecting singles and twins. The first lambs arrived on 3 February. 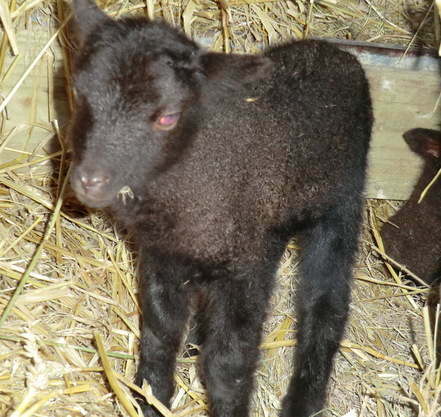 Manx Loaghtan lambs are born brown/black and are generally small and so cute! Buttercup had twins, 1 ram lamb and 1 ewe lamb. This is a picture of the little ewe lamb.